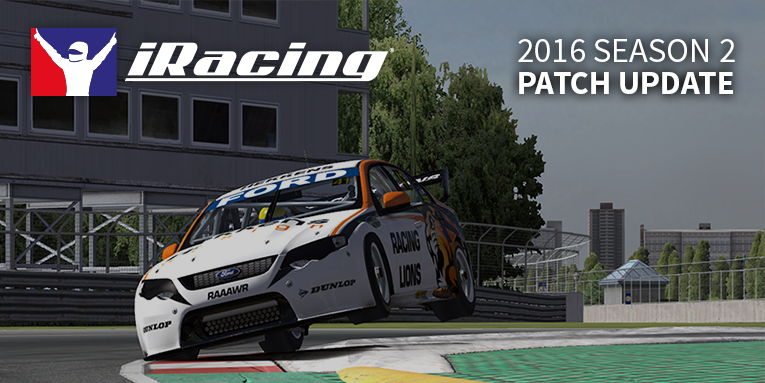 iRacing released another minor patch today to fix some critical bugs. There are some fixes to netcode and another DirectX 11 fix. Read the full release notes below. This patch aims to fix several remaining issues after our last patch. – The iRacing infrastructure will now alert the developers if any race servers are running with any type of out-of-date content, to help avoid a repeat of the recent “Package Error 22” issue. – Fixed a couple of issues that could cause small amounts of packet loss to briefly generate higher apparent latency and lower quality. – Our US ISP has resolved the issue that was preventing proper IPv6 routing switch-over to redundant equipment in the event of an equipment failure. We have re-enabled IPv6 for Simulation to Race Server connections on the US server farm. – Added support for “centered” (letterboxed) and “stretched” graphics modes. When these are available, the options screen and the graphical auto-configuration screen will indicate these special scaling attributes along with each mode’s refresh rate. We also removed a previous attempt to collapse multiple graphics modes with very similar refresh rates into a single mode, and now simply expose all of the unique modes, as they can behave subtly different, and the differences can be important. If you are using DX11 in full screen, we recommend running the graphics auto-configuration after installing this patch to select a full screen mode again from the enhanced choices. – – KNOWN ISSUE: Currently when using Alt+Enter to return to full-screen mode from windowed-mode, DXGI may not return the Simulator to the originally selected full-screen mode. – Fixed an issue where teammates’ black boxes could sometimes display the incorrect tire data after a driver swap. – Updated Hall of Fame and Richmond International Raceway vehicle setups.